depending on what the default branch is. 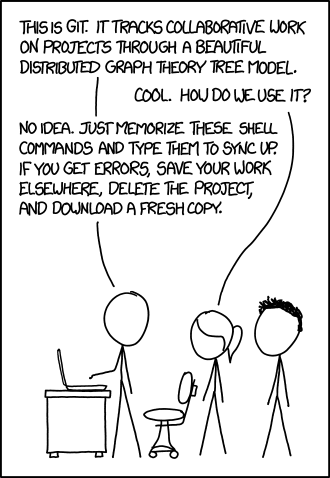 I rarely use git merge – generally only when the situation requires it. I generally use git rebase to bring my feature branches up to date when needed. This way you can git pull to get the latest from the upstream repository. Wondering if the current local branch is tracking upstream? Use git branch -vv! While git push without any arguments may work, if you aren’t absolutely certain where you’ll be pushing to it’s a good idea to be explicit. I haven’t been in the habit of using this implicitly at all, but maybe I should. Tip: If you aren’t sure what will happen, add --dry-run to the command. How do you use GitHub? Let us know in the comments!